Vitamin E and Selenium are two powerful antioxidants that fight free radicals. ** Studies have shown that oxidative stress caused by free radicals may contribute to the premature aging of cells. ** Vitamin E and Selenium also promote immune function, while Vitamin E helps support cardiovascular health. 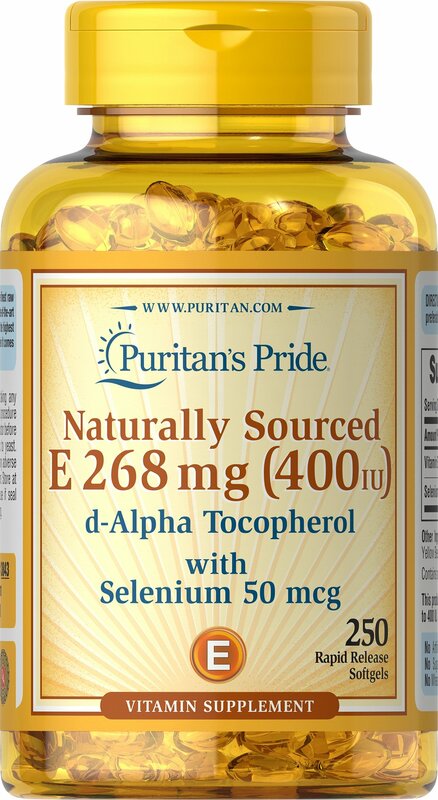 ** This product delivers 400 IU of Vitamin E and 50 mcg of Selenium. Adults can take one softgel daily.